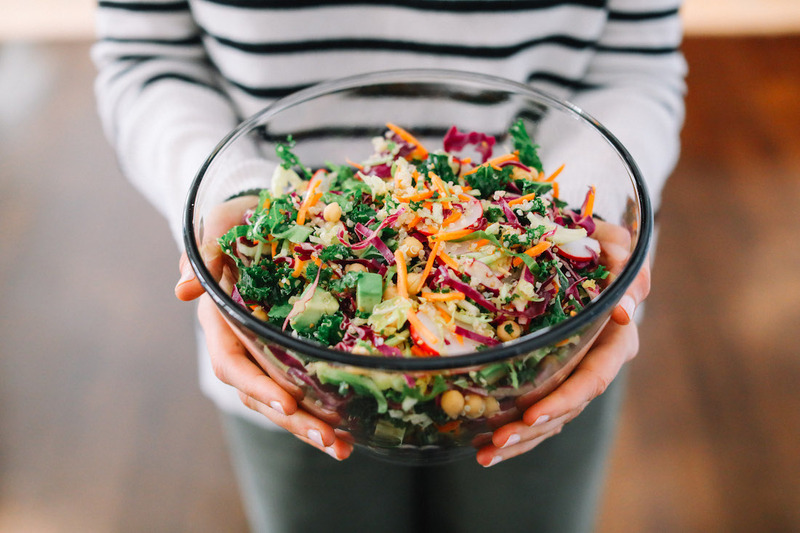 As the temperatures start to warm up in Spring I love a crunchy salad. This one is well balanced with the addition of a warm grain and the creamy chickpeas and avocado. It is perfect for lunch or as a side at your next BBQ or potluck dinner. Hope you’ll give my Spring Shredded Salad salad a try and let me know what you think! Also, don’t forget to tag me in all of your foodie creations at @livlight_ and #livlight. In a small jar combine dressing ingredients and shake well. Prepare quinoa or grain of your choice according to package. Combine all ingredients in a large bowl and pour dressing over (you may not need all the dressing). Gently toss everything together and serve.